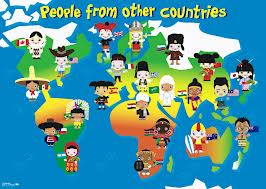 In Southeast Asia are the world’s two most populous nations: China, with 1.35 billion people and India with 1.22 billion, plus countries that rank 4th in population (Indonesia, with 251 million), 8th (Bangladesh, with 164 million), 10th (Japan, with 127 million), 12th (Philippines, with 106 million), 13th (Vietnam, with 92 million), 20th (Thailand, with 67 million), 25th and 26th (Burma and South Korea, both with around 50 million). Also in the circle: Nepal, Malaysia, North Korea, Taiwan, Sri Lanka, Cambodia, Laos, Mongolia and Bhutan. The answer is simple. While this area represents the world’s center of gravity as measured by people, it also surrounds some of the least efficient places to deploy your investment resources. Take China, for example, where the same company’s shares trading on the Hong Kong stock exchange routinely cost two or three times more than shares trading in Shanghai, where Chinese residents buy and sell their stocks. Both shares carry identical claims on assets and profits.